In book publishing news as exciting as Harper Lee’s upcoming sequel to “To Kill a Mockingbird,” it was announced this week that the work of another beloved author will be published in late July. That author, Dr. Seuss (aka Theodore Geisel), died nearly a quarter century ago. 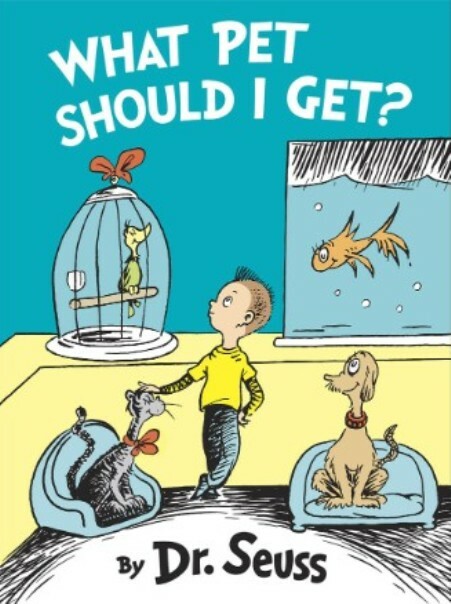 While going through her husband’s office shortly after his 1991 death, Audrey Geisel found the manuscript for “What Pet Should I Get?” She set it aside — for 22 years. “While undeniably special, it is not surprising to me that we found this, because Ted always worked on multiple projects and started new things all the time,” she said in a press release from Random House Children’s Books. “What Pet Should I Get?” features the brother and sister from the Dr. Seuss book, “One Fish Two Fish Red Fish Blue Fish.” The text and illustrations were found nearly complete. It was probably written between 1958 and 1962, according to the author’s former art director, Cathy Goldsmith. “My connection to Ted remains as vital as it was when we worked closely together years ago — I know he is looking down, watching over the process, and I feel a tremendous responsibility to do everything just as he would have done himself,” Goldsmith said in the press release. 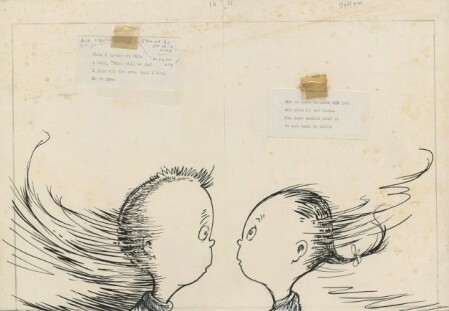 More good news: At least two additional Dr. Seuss books will be published in the future from the manuscripts Audrey found. “What Pet Should I Get?” will be available on July 28.